Crown Point Solutions came into existence a decade ago in October 2003, after the entirety of an IT department was set free following the acquisition of National Technological University by Sylvan Learning Systems. The core IT management team gathered together and, along with another colleague from Hewlett-Packard, decided to build their own ship, hire an experienced crew and set forth to seek their own fortunes. Since its humble beginnings, Crown Point Solutions has grown quickly, serving clients along the Colorado Front Range, including Fort Collins, Loveland and Denver. A lot has happened since 2003, especially the role of technology in the marketing and communications areas. Rapid innovation combined with dynamic business environments results in businesses having to make difficult marketing technology decisions quickly, often without full understanding of what those decisions might mean for the future of the company. This is where we can help. Our experienced and talented team has navigated these waters for decades, and can help organizations make wise investment choices, in terms of both time and money. Specializing in Interactive Marketing, the company strives to keep ahead of the curve in the latest business, marketing and technology trends. Our company is built solidly upon a foundation of Integrity and Customer Service. Building trust with clients is our primary objective, and trust provides the cornerstone upon which to build lasting business relationships. Current executives and employees have experience working for large organizations such as Sylvan Learning Systems, Hewlett-Packard, Colorado State University and Fujitsu New Zealand. The consulting team at Crown Point Solutions prides themselves in being expert problem solvers and strategists. That's where Ingenuity comes in. If you have a problem that needs to be solved, be sure to contact us today. Michael Bren co-founded Crown Point Solutions in 2003. Prior to starting the company, he was Manager of Web Development for National Technological University, a fully-accredited online university dedicated to providing Master's Degrees in Engineering and Computer Science. Mike earned a B.S. in Computer Science from Colorado State University in 1996. After graduation, he went on to work at Hewlett-Packard for over four years, serving as a market research analyst. In his spare time, Michael enjoys the outdoors, camping in the summer and skiing in the winter. 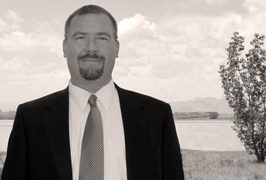 Blake Stewart co-founded Crown Point Solutions in 2003. Previously, he studied Computer Science at Colorado State University (CSU) in the late 1970s ("mainframes and FORTRAN and punchcards, oh my! "), worked as a Systems Analyst for Academic and Computing Network Services at CSU for 8 years, and spent 17 years as the Director of Network, Computing and Internet Services at National Technological University. In his spare moments, Blake enjoys spending time with his family, reading, and volunteering at his children's elementary school. Also pursuing a M. A. in History at CSU, he hopes to eventually pen a definitive work on the settlement and shaping of the American West. 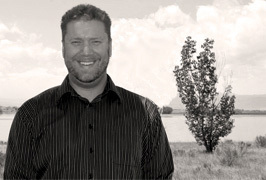 Seth Daire joined Crown Point Solutions in 2004 after returning from living and working in New Zealand. 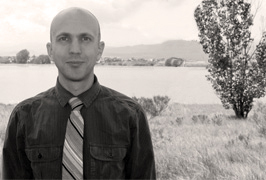 Previously he had worked in technology roles with organizations such as Fujitsu New Zealand, the Poudre School District, and National Technological University. Seth has a B.A. in Speech and Radio Communications and a M.A. in International Human Rights. When not at work, Seth enjoys exploring unfamiliar places, skiing down mountains, and conversing over specialty coffee. Rowland Wasgatt joined Crown Point Solutions in 2011 and assists staff on a wide range of research projects covering topics such as current Internet trends, new media, online publishing and media literacy. 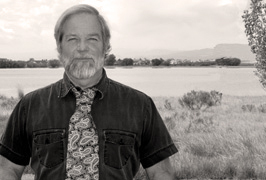 Rowland received his bachelor's degree in History from Colorado State University where he learned to apply his skills in research and analysis. He is originally from Rockland, Maine but has called Colorado home for 39 years now. Outside of work, Rowland enjoys being around the mountains whether it's hiking or camping, playing disc golf, reading history, and travelling abroad.